As outside temperatures go down, space heater sales go up. This is a great time to get a space heater so you are prepared for those cold days. 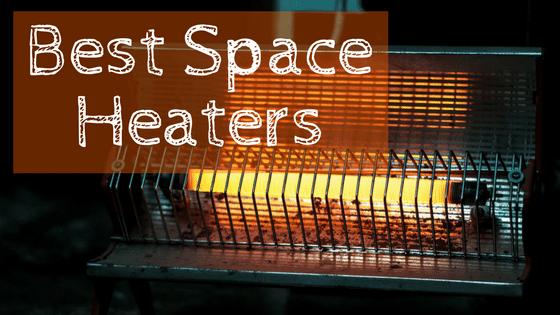 I've put together a list here of our top 10 picks of the best space heaters out there on the market. I've read the reviews from people that bought them, compared features and prices and basically made it easier for you to easily choose the best space heater that will fit your needs. Here are our top 10 picks below. Simply click on the space heater name for a detailed review. In the chart below, you will find our top 10 rated space heaters. For a more in-depth review of each model, please click on the "Read Review" link. How big of an area will you be heating? You will need the correct size and type of heater that can handle the job for the area you will be heating. 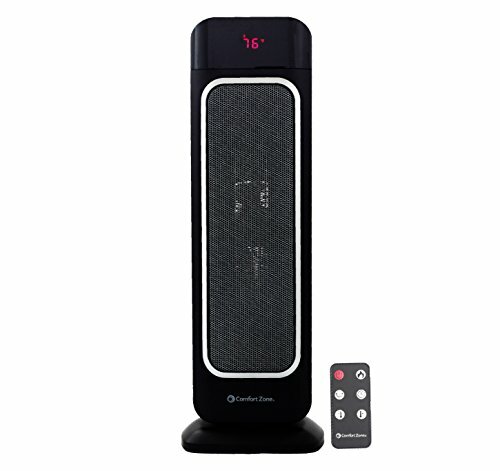 Does it matter if there is sound to your heater (forced heat) or would you like a quiet heater? If sound doesn't bother you, then disregard this question. But if you would like a quiet heater, do not get a fan powered forced heater. Some people like their heater to not give off light. If light bothers you, do not get an infrared heater. How big of an area that you are going to heat, is going to play a role in what size of a space heater that you will need. Space heaters don't necessarily save you money unless you are willing to close off the other rooms and turn the house temperature down, and just heat a small area. If you are hoping to just warm up a small spot than a large room then you can get away with a small space heater. For heating a full room, you are going to want to invest in a large space heater. The largest and best space heaters normally will warm up an averaged sized living room in about 15 minutes. Of course this is going to vary depending on the heater you get. If you click on my reviews of each space heater, I'll explain how big of space it will heat up. On average the most powerful heater you can plug into a standard North American outlet is going to max out at 1,500 watts. The last thing you need during a cold winter night is to blow a fuse, so keep this in mind. Also keep in mind that space heaters are designed to serve as a secondary source of heat, not a primary source of heat. Fast spot heating is what you are going to want in a small room. These heaters will be small in size and made to heat up a small area. As to be expected, the small heaters are going to cost less than the larger space heaters. For small rooms you'll need about 10 and 15 watts of power per square foot. This will vary depending on how well insulated the rooms is and how many windows and doors are in that room. The more heat that is escaping, the more watts you will need. For for example, a 50 square room will need about a 500 watt heater to keep the whole room feeling warm. For heating a large room you will want a larger space heater. With large heaters you will have more options such as a wood look for aesthetic reasons. A large space heater will in essence become part of your furniture, or décor if you will. So you may want to also keep looks in mind when buying a larger space heater. A patio heater is perfect for those cool days or nights when you are out on your patio or deck. Even though the heat will rise and be lost in the atmosphere fairly quickly, you can enjoy the heat that radiates out from the heater much the same way as huddling around a campfire. The nice thing about a patio heater as compared to a fire, is that you can turn it off and on without going through the effort of starting a fire and then putting it out. When choosing a patio heater consider the size of the patio that you want to heat. Keep in mind that patio heaters work best when placed in a covered area with a roof. But even your patio or deck is not covered you can still enjoy the heat that radiates out from your patio heater. For the best indoor space heater our pick is the Heat Storm Preston Classic Indoor Portable Infrared Space Heater. Click on the individual review for a more detailed look at why this is our favorite and top pick for the best indoor space heater. Our top pick for the best outdoor space heater is the AmazonBasics Havana Bronze Commercial Patio Heater. Click on my review of this heater to read in detail why this is our top pick for an outdoor space heaters. There are four main types of space heaters. The types are convection, ceramic fan-forced, radiant and micathermic heaters. Convection Heaters are what you use when heating a large space. These heaters are filled with a heat transfer oil that radiates heat from the external surface area. These are nice heaters because they get the job done well with low maintenance. You don't need to refill the oil. Also, they are easy to clean. Convection Heaters are best used in basement areas, living rooms, and bedrooms. Ceramic Fan-Forced Heaters are become more and more popular. 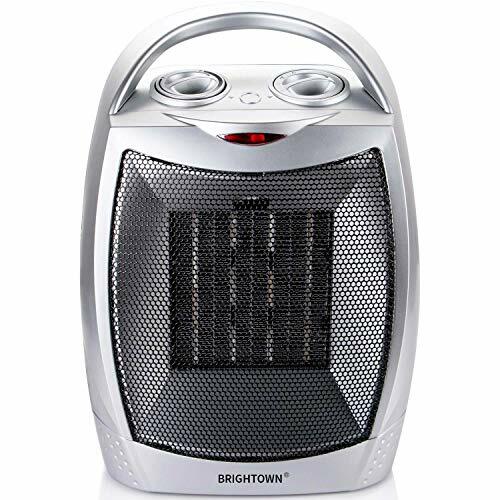 This type of space heater is versatile and often has many options to choose from. Ceramic Fan-Forced Heaters and remain stationary to spot heat or they can be set to oscillate and disperse heat throughout a room. Many have a timer that allows you to run the heater for a certain amount of time and then turn it off. Most ceramic heaters have a remote control that allows you to switch settings without getting up. Along with the remote control feature many have lighted digital thermostats that are view-able from across the room. The lights help you see the heater even when the room's lights are shut off. Ceramic Heaters also have fan settings from high to low speeds. In summary, ceramic fan-forced heaters have lots of options. Radiant heaters provide a quick heat by using infrared rays to warm up people and objects. This type of heater uses direct heat to spot heat an area. Radiant heaters a a quiet type of heater that is very energy efficient. They are a popular heater because they can heat up to 1,000 square feet as opposed to 400 square feet of the average forced air fan heater. As the name infrared suggests, they emit a warm orange light. Some like this because it gives a cozy fire feel, though some suggest this heater may keep you awake if used in a bedroom because of the light that it gives off. Another type of space heater is the Micathermic Panel Heater. This type of heater is unique in that it uses both convection heat and direct radiant heat. Micathermic panel heaters are generally lightweight and also wall mountable. They are silent heaters that put off no light. The nice thing about this type of heater is that it doesn't blow dust around the room the way a forced heater would. However, the panels get very hot to the touch, so they are not recommended around young children or pets. The best space heaters in our review are all electric and all give off heat. Where you will be using them and how big of a space will determine what kind of space heater you will need. After carefully reviewing the top 10 space heaters on the market, I've picked the Heat Storm Preston Classic Indoor Portable Infrared Space Heater as my choice as the best space heater on the market. 1. What is my price range for purchasing a heater? 2. How big of a space will I be heating? 3. Will this heater be used for indoor or outdoor heating? A space heater lets you heat an area so that you can stay warm, anytime and anywhere. I have a farm store that is not wired for electric. But I can run an extension cord out from my garage and use my space heater if I have farm shopper on a cold day. As long as you can run an electric cord out to reach the heater, you can heat an area with a heater. If you are backwoods or camping out and have a generator, then you can also hook up your space heater that way. Space heaters are great for warming you up quickly. Even if you have heat, you may want it a little warmer. If you are a tenant and the landlord has a fixed thermostat, you can still warm your place up a bit more with a space heater. I hoped this review of our pick of the top 10 space heaters helped you in choosing one that's right for you. Remember to think about how big of an area you will be needing to heat. Also, think about if sound and light emitting is an issue for you or a nonissue. Hopefully, this review will help you keep warm in the cold months after you buy the best space heater. What Kind of Outdoor Space Heater is Best for You?